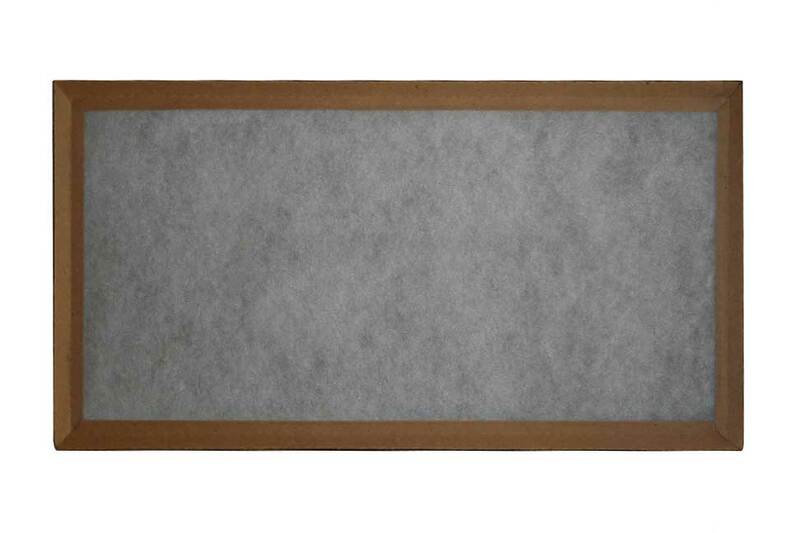 The Polyester Air Filter is made from high quality polyester media. The pad is surrounded by a chipboard frame. The media is produced using specially developed polyester fiber, bonded together to form an interlocking pattern of tiny lint and dust traps. Available in both stock and special sizes. Special bottle-capping is available upon request (You can add 1 layer or bottle cap on both sides). STOCK / SPECIAL POLYESTER FILTERS: The Stock 1″ Polyester Filters are made from high-quality polyester media. The media is surrounded by a Monobond Frame. Stock 2″ Polyester Filters are available in boxes of 12 and are made from quality polyester material. Smith Special Sized Polyester Filters are available in multiple sizes. When ordering, state exact size. Minimum 6 per size when ordering special polyester filters. Special filters cannot be returned. MATERIAL: The Polyester throwaway is produced using specially developed polyester fiber, bonded together to form an interlocking pattern of tiny lint and dust traps. Media is designed to minimize surface loading. 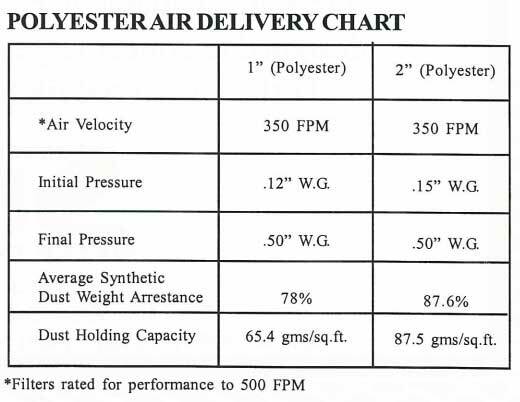 Polyester media eliminates the possibility of fibers breaking off and getting into the airstream. Smith Polyester Filters can withstand temperatures up to 200 degrees F.